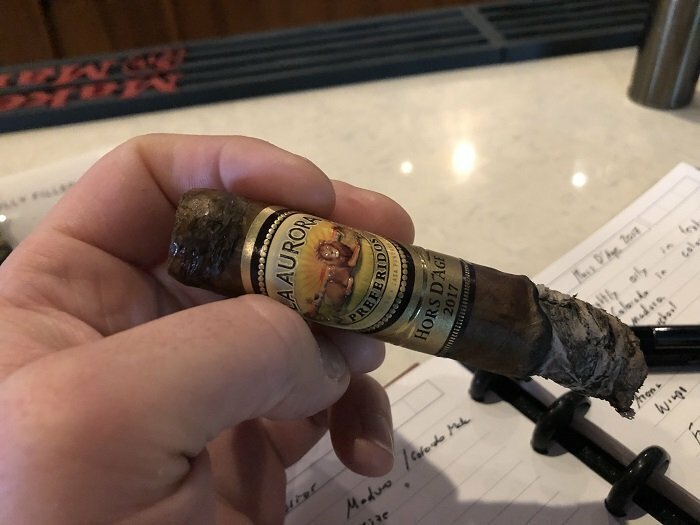 The La Aurora Preferidos Hors d’Age 2017 Toro is firm in hand and has an oily wrapper. 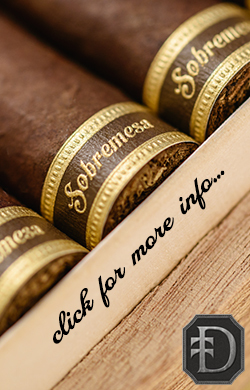 The wrapper is soft in texture and has a coloring that is a combination of a Dark Colorado and slight Maduro. There is an aroma of wood, hay and earth on the foot and the wrapper is sporting some similar notes. The first third has a nice beginning and it is delivering some salty wood, leather and soft spices. There are some rich and damp earth qualities to it, and there is a faint black pepper present on the finish. 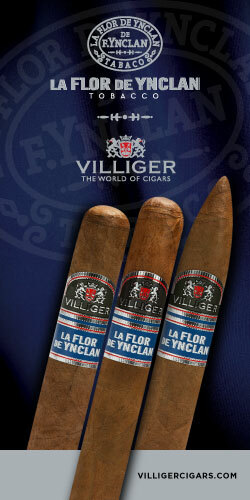 The cigar is smoking at a medium level for strength and body, and it has a nice start to the cigar with a lot of flavor. 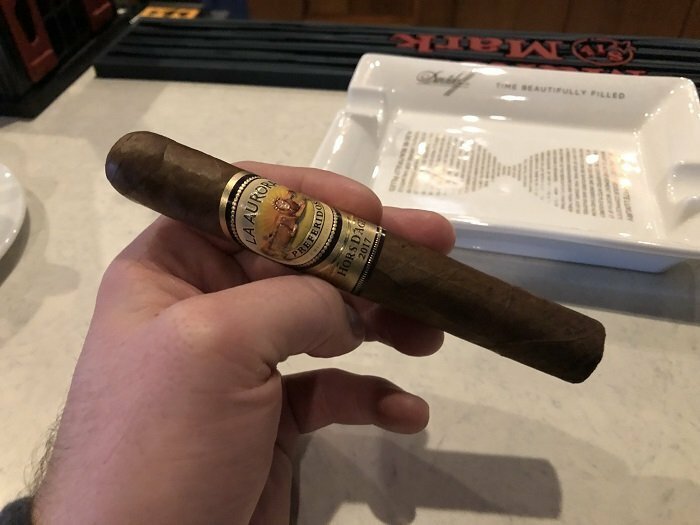 When I get into the second third of the cigar, I find a nice spice profile emerging and it is delivering some cinnamon and sassafras qualities. 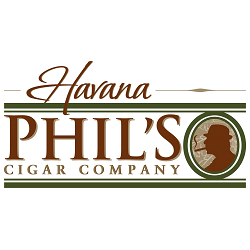 There is a faint rich earth quality to the cigar and it it still showing those salty wood and black pepper notes. 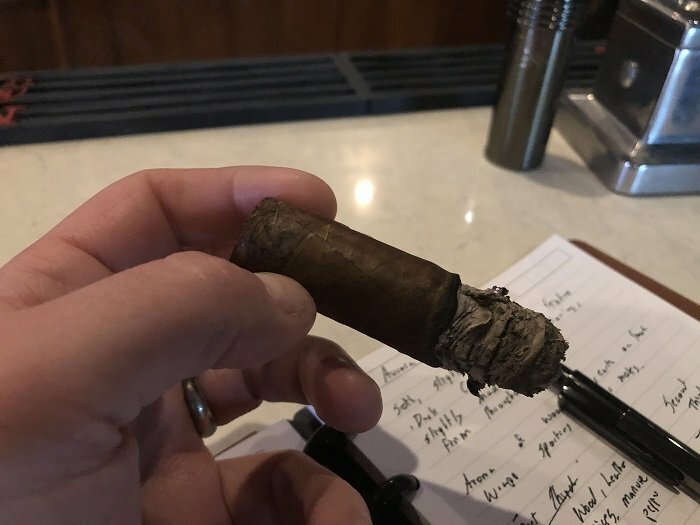 In terms of strength and body, the cigar is still smoking at a medium level, and as I said before this is a flavor focused smoke. I am in the final third now and the flavor profile has stepped down some. It is showing some woody qualities and with that are some rich earth, soft spice and faint black pepper notes. The sassafras is faint, but present and enjoyable. 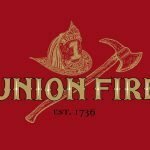 The cigar is still smoking at a medium level and it is flavor focused. The burn is fairly decent on the cigar, not great, but never presenting any problems. It is slightly wavy, here and there and it is producing a charcoal ash that is holding on firmly to the end. 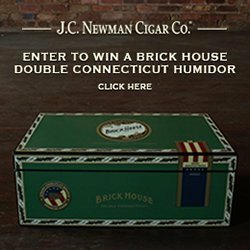 The cigar smokes consistent from start to finish and the ash holds on well through each third. For being a large ring gauge offering, the cigar had a nice draw and was not too loose. It was still not as snug as I prefer, but for what the ring gauge was I was pleasantly surprised. 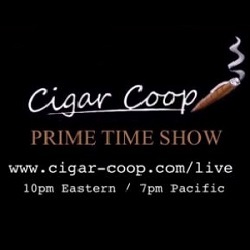 Smoking cool from start to finish, a well constructed cigar. This was a fantastic La Aurora offering and classic to the brand. 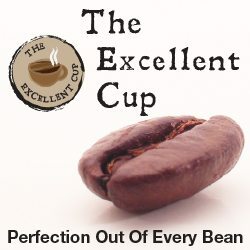 Lots of tobacco used, great flavors and solid body and strength that did not get in the way of the flavors. 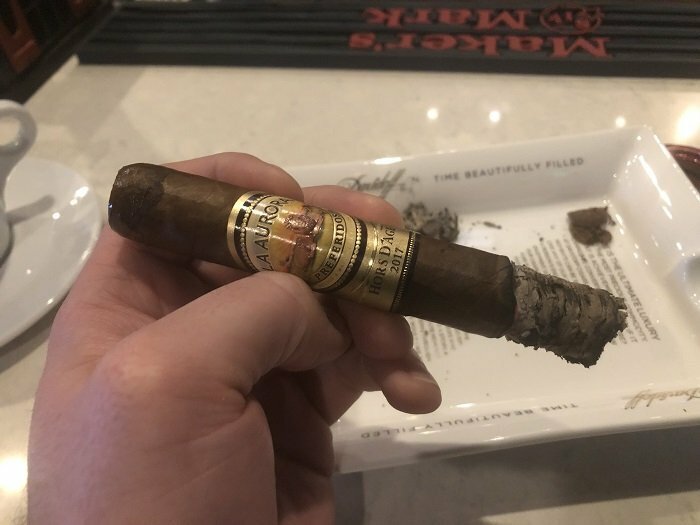 The second third of the cigar was fantastic, first third very solid as well, but the finish lacked what the first and second third had. 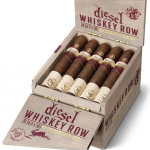 There was solid construction throughout and with that a great draw and nice smoke production. 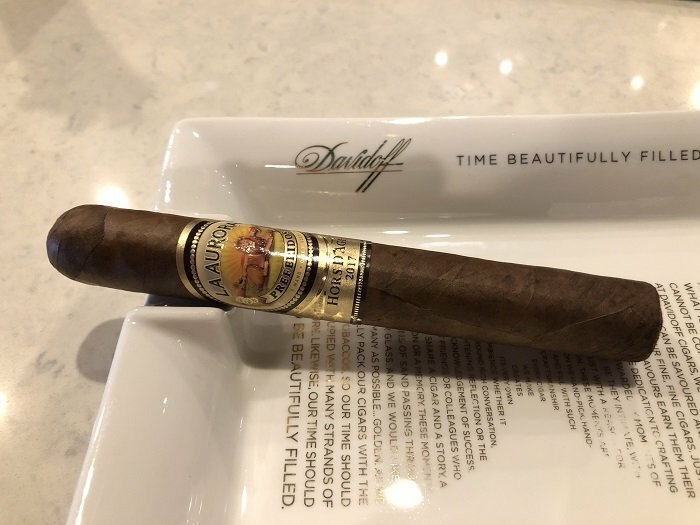 La Aurora is a brand that gets forgotten by me because of Miami Cigar in general, but it is a great brand that delivers and this cigar really showed what they can do. 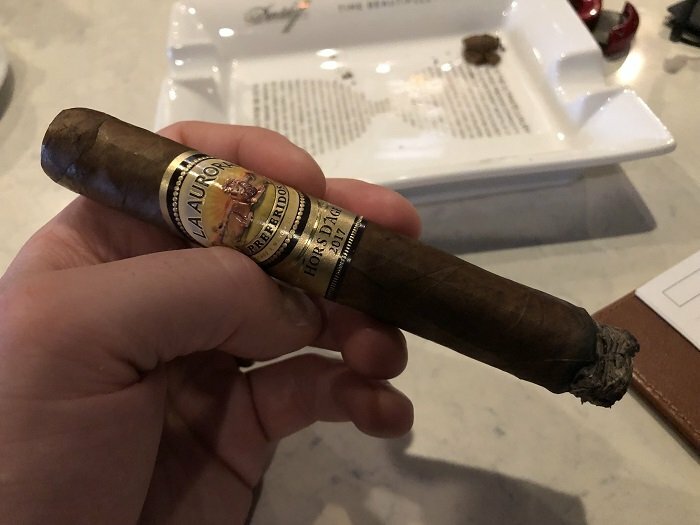 I would definitely recommend the La Aurora Preferidos Hors d’Age 2017 Toro to all the smokers out there.